If you need to Surrender a pug…we are here for you. We understand surrendering a pug is difficult. We are not here to judge, but to help. PRoNE has been finding new homes for pugs since the 1980s and prides itself on finding the just-right home for the pugs in our care. Our foster homes are scattered across New England – when you surrender a pug, that pug goes into one of our loving foster homes. We do ask several things of you: PLEASE READ our Frequently Asked Questions, complete the online Surrender Form and have your vet fax records to: 774-404-2688. 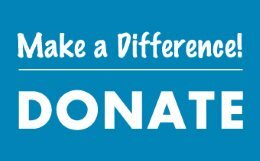 We do not charge a Surrender Fee, but will not turn down donations. If your situation is an emergency, you can contact us at 617-892-9943. We depend on you to provide accurate info so we can place your pug in an appropriate foster home. Thank you for trusting PRoNE with your pug and know our team of volunteers works tirelessly for them. Found a lost or stray Pug? Here’s what to do. Contact your local police department, animal control officers, animal shelters, vet offices and check Craigslist prior to contacting PRoNE. Often, owners of lost pets have contacted these agencies looking for their lost pets. 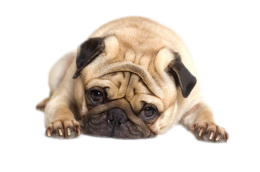 Shelters and vets can scan the pug for a microchip, hopefully reuniting that pug with its owner. PRoNE will happily accept found Pugs once preliminary efforts to find the owner have failed.